Ham radio equipment does not have to cost "an arm and a leg"! It does not have to be elaborate either. Start with what you can afford. It can take years to get the "dream" station assembled. So what if it takes time. No ham radio equipment yet? Join a club! The best way to get the most out of ham radio is to join your local ham radio club - if you are lucky enough to have one in your area. Most clubs have a club station that you will be able to use (under supervision if you are not licensed yet). Also, you stand a good chance that one of its members will lend you the equipment you need to start if you can't afford to buy all the basics. Tips on setting up your radio shack and antenna. Helping hands to install antennas & tower or supports. Elmers ... helpful experienced amateur radio operators. ... are the first pieces of equipment to consider. Most amateur radio operators use transceivers (abbreviated "XCVRS"). By doing so, they have a receiver and a transmitter built-in the same piece of equipment. Even so, it is not a bad idea to have a good stand-alone amateur radio receiver. It will often come in handy. Trust me. Many amateur radio operators start with a hand-held VHF/UHF transceiver to stay in touch with the local community of ham radio operators through the club repeater and other repeaters in the area. But, HF is the way to go if you want to really get a taste of DX (long distance) contacts with amateur radio operators in countries all over the world. If you can afford a new "rig" you will have years of enjoyment ahead of you. 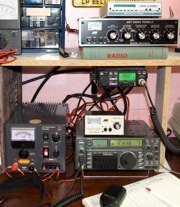 I have had the IC-735 HF XCVR and the IC-28H dual band VHF/UHF XCVR since 1990 ... and they are still working like new! This means that, if I had sold these ham radios 10 years later, in 2000, some ham (maybe you) would still be using them today! You can really get a lot of enjoyment and "mileage" out of used equipment that has been operated according to the manufacturer's recommendations, and maintained in good working order. See this page for more info on used transceivers. Take care of your equipment and it will pay off. Working stations from all over the world with equipment you built yourself is a pleasure beyond words. In the early years of amateur radio, operators used to build their equipment. From scratch. Later, when used military (from the 2nd world war) and commercial communications equipment started to become available, hams would buy them cheap and modify them to work on the ham bands. Modifying equipment is still a popular activity within the more technically inclined hams. Then ham radio kits began to appear. I built my first kit, a Heathkit HW-101 transceiver, in the '70s. Today, there are some fine kits available, using state of the art components. They are most popular with QRP (low power) enthusiasts and those who like to build and modify their own accessory ham radio equipment. 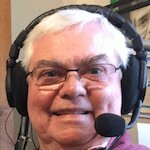 Many amateur radio operators consider that using ham radio amplifiers at full legal power (1500 watts DC input maximum in many countries) ... is like shooting fish in a shallow creek at close range with a double barreled shotgun! These amateurs like to punch through pileups to be heard by the DX station they would like to log. This questionable technique works most of the time, of course. But, where's the sport in that? Where is the challenge? Admittedly, there are "circumstances" that justify using full legal power, or at least, higher power than most transceivers put out. Those circumstances do not include casual DXing and most certainly not "local" rag chewing! Here are some of the justifiable circumstances for using high RF power output. One of the major reasons behind all the privileges that we enjoy as amateur radio operators is that at least some of us are expected to serve as volunteers to supply emergency communication services when disaster strikes. Amateur radio amplifiers may be required to communicate, on a pre-established schedule, with friends or family who are located in isolated parts of the world where reliable public communication facilities do not exists. Some of the more technically inclined among us like to bounce VHF, UHF or SHF signals off the moon (as a reflector) to reach other hams that are normally beyond normal range. This type of operation is known as moonbounce (a.k.a. earth-moon-earth or EME). This type of communication requires maximum legal power and high-gain antenna arrays. Of course, besides an amateur radio amplifier, one needs to have the space for the antenna arrays! Many serious contest operators will regularly have to use an amateur radio amplifier to "punch" through strong atmospheric noise (QRN) or deep fading of radio signals due to unsteady ionospheric conditions (QSB). After all, prestigious awards are often at stake! As mentioned earlier, it is a questionable practice (at best) to force your way into a DX pileup with full legal power. Good operating practice is to use as little power as necessary to maintain solid contact during a QSO. 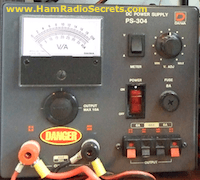 The ham radio power supply is probably the most important support-type ham radio equipment you will own. That is why I believe you should choose it carefully. You should take into consideration both your present and future needs. Admittedly, that's not an easy task when you are starting out. Here then are the likely requirements you should plan for. When I bought a new HF transceiver in 1990 (an IC-735, not the IC-7200 shown here), I also bought a power supply to feed it the filtered 13.8 volts DC it required to operate as a base station. I had already been a ham for about 16 years then. By then, I knew fairly well what I would need a power supply for. Nevertheless, at the time, I sat down to write what I would use my amateur radio power supply for. It would have to be powerful enough to allow me to power both my HF and VHF rigs simultaneously, even if it means operation at reduced power. As I had already developed a taste for experimentation, the ham radio power supply should also allow me to power various ham radio equipment accessories and projects on the bench. Do not underestimate the latter requirement! Continuously variable output voltage - from 0.88 volts to 16 volts DC. (Top right potentiometer knob). 30 amps output (max.) at 13.8 VDC. I could have chosen an even heftier power supply, but the cost rises sharply beyond that point! One main set (rated at 30A max.) to which I have my HF and VHF rigs "permanently" hooked up (the two hefty power terminals in the lower left, on either side of the "DANGER" label). One secondary pair of terminals rated at 6A max. for my workbench needs (to power small projects and temporary accessories). A "cigar lighter" type terminal to power mobile equipment when in the shack (located just below the meter). Easily accessible main fuse (front panel, to the right of the power switch). For years of trouble-free enjoyment, plan your needs carefully and go for a quality power supply to power your ham radio equipment. Some, like me, regularly get the urge to build something. It usually starts with an experiment to fill a need. 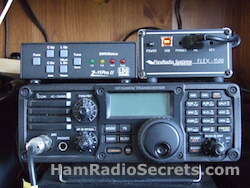 It often ends up becoming a permanent addition to the ham radio equipment in the shack. Take this HF preselector, for example. I needed to improve the performance of my direct conversion SDR receiver when we hit the bottom of solar cycle 24. After some experimentation, it proved to be a useful accessory and it only cost a few dollars and a few hours of my time.